During last Euro Summit at Barcelona, Keshav Puttaswamy from Atlassian gave a very interesting presentation about the Data Center suite of Atlassian products. The presentation is available in Slideshare if you want to see it. Moving configurations from one instance to another. 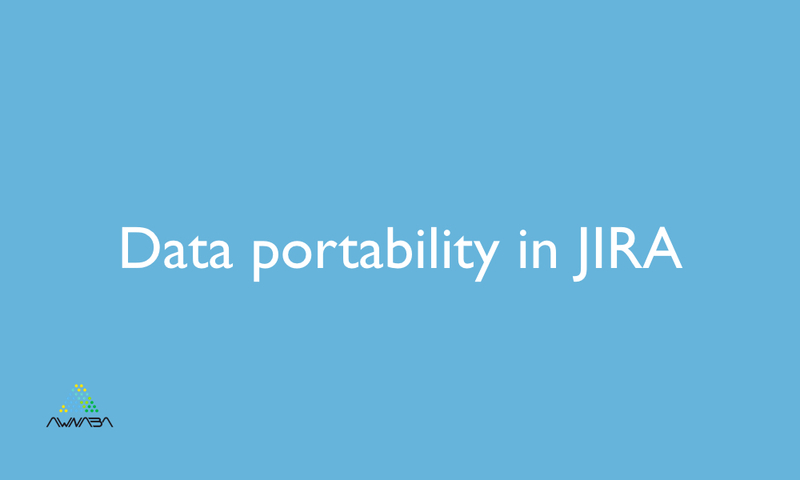 For example, testing a JIRA workflow in your development or staging environment and then promoting it to production. Moving projects from one instance to another. Merging multiple server instances into a single one. He said that Atlassian’s first step in addressing this need had been to partner with two Marketplace vendors that have built a large expertise in this area during several years. As you can imagine 😉 Awnaba Software is one of these two selected vendors. The first task of this partnership is to produce documentation (“best practices”) that explain how to solve the three use cases. Actually, the first stage of that documentation is already available in this URL. When preparing this guide (obviously I refer now to the Awnaba version of the guide) we tried to make it clear, easy to follow and oriented to the real job a JIRA admin would have to perform. It contains a comprehensive view of the process of developing and testing changes to the configuration of projects in JIRA and then moving those changes to the production environment with Project Configurator for JIRA. I am also glad to announce that the other two guides (“Migrating JIRA projects” and “Consolidating JIRA instances”) are now being reviewed, so I hope they will be published and available soon.